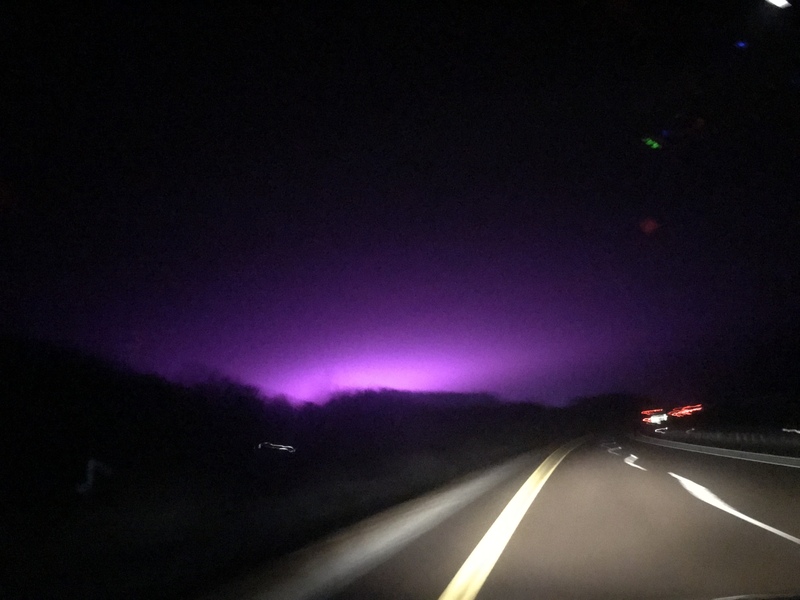 Today on my way from Madison, WI, USA to Minneapolis, MN, USA on highway I94 I saw sky light up with violet color. Timestamp on my picture is at 6:48 PM. It's very strange. I do not think it was northern lights, too soon to hop on alien story. I know this could be due to some lights, but it was so bright and spread across such a large area, its stuck in my head. I am attaching pictures. Not very good quality as I was driving. Let me know if you guys have any guesses. 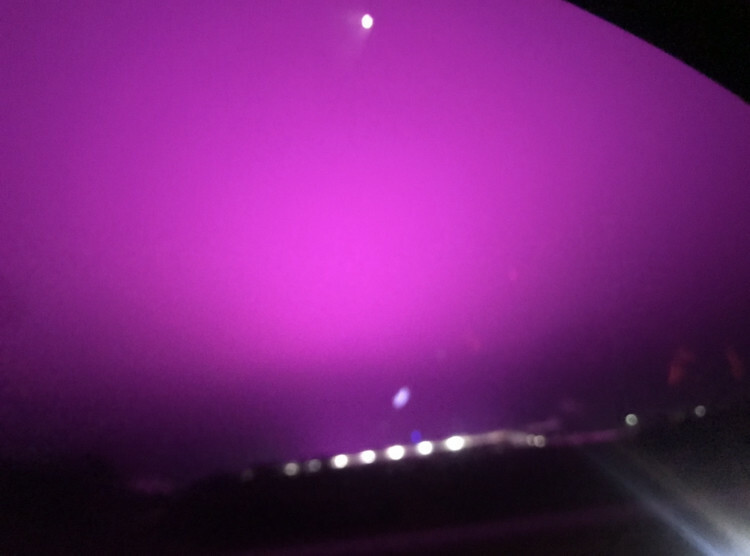 It turns out the mystery light came from a new, high-tech, 85,000-square-foot greenhouse on 76th Street near Hanna Lake Avenue southwest of Dutton. The glow was the result of special purple LED lights that can adjust to different spectrums to fit plants' needs. It's been reported in several places around the country, and so far at least, always comes from greenhouses with these LEDs. Not the answer you're looking for? Browse other questions tagged identify-this auroras or ask your own question.